This book offers a radical new reading of William James’s work on the idea of ‘religion.’ Moving beyond previous psychological and philosophical interpretations, it uncovers a dynamic, imaginative, and critical use of the category of religion. 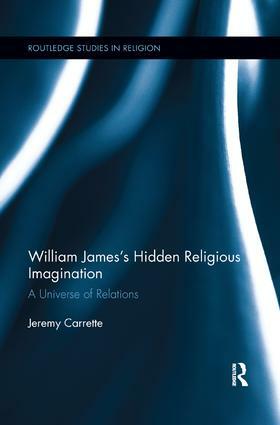 This work argues that we can only fully understand James’s work on religion by returning to the ground of his metaphysics of relations and by incorporating literary and historical themes. Jeremy Carrette is Professor of Religion and Culture and Head of Religious Studies at the University of Kent, UK. He works across the areas of social, political and psychological approaches to religion and he has previously published on Foucault, James and the politics of spirituality. Amongst other publications, he is author of Religion and Critical Psychology (Routledge, 2007) and editor of William James and the Varieties of Religious Experience (Routledge, 2005).